The designation “Certification Trademark” and registration procedure has been added to the law and is defined as, “A trademark applied to products or services whose quality and other characteristics have been controlled and certified by the holder of the trademark.” The holder of a certification trademark will authorize the use of the trademark to any person whose product or service meets the conditions set forth in the trademark use regulation. The certification trademark may not be used for products or services produced, provided or marketed by the holder of the trademark. A registered trademark will be considered in use when the products or services it identifies have been placed in business. Advertising through any media, whether the products or services are actually marketed, also constitutes a use of the trademark. Any use outside El Salvador also constitutes a use of the trademark. The holder of the trademark will be responsible for the proof of use. Examples are commercial invoices and documents that establish the volume and frequency of marketing activities of the trademarked item or service. The holder of the right of a registered trademark may also grant the license to use the trademark. The license usage agreement shall have effect on third parties without the necessity for registration. The licensee may make a request for the registration of the license in order to make the existence of the license publicly known. Usually a registered trademark must be used in the trade as it appears in its registry, however it can differ but only to details or elements that are not essential and that do not alter the identity of the trademark. The use of a trademark by any licensee or any person authorized to do so, will be considered as if it has been made by the holder of the registry, for any purposes related to the use of a trademark. One noted limitation is that no geographical indication that may cause error or confusion regarding the geographical origin of any products or services may be used in advertising, or in the business documentation related to the sale, exhibition or offer of products or services. 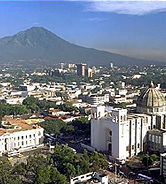 Upon request, and prior to a hearing of the holder, a trademark registration will be cancelled when it has not been used in El Salvador for at least five years immediately preceding the request. However, a trademark registration will not be canceled because of lack of use when circumstances exist independent from the will of the trademark holder constituting an obstacle for its use, such as, restrictions to import or other official requirements imposed on the product or service protected by the trademark. Cancellation due to lack of use can be used as a defense against a registration objection, an application for an order of annulment, or an infringement action. Upon decision, whoever is granted a favorable resolution will have a preferred right to register said trademark. This right may be evoked from the date of submission of an application for cancellation and up to three months after the date in which the cancellation resolution remains in force. Without waiving potential criminal actions, the holder of a right protected by the new trademark laws can bring a civil action against any person that infringes that right or against any person that carries out acts that express the imminence of an infringement. Additionally, a licensee may also bring proceedings against any third party that infringes the right that is object of a license. If the licensee does not have an order from the right holder to bring such an action, it must prove that more than thirty days has passed since it made a request of the holder to bring the action and that the holder has not acted accordingly. A claimant must show proofs of the infringement to include containers, packing, labels, printed material or advertising, and other materials, and proofs of the means, instruments and materials used to carry out such infringement as well as any relevant evidence to document said violation. Responses and penalties may include: The prohibition to import, export or transit of the products, materials or means, destruction of the infringing products, the destruction of the materials used in the production or creation of the goods, without any compensation to the offender in order to minimized the risk of future infringements. The infringing party will be compelled to provide information regarding any persons, including third parties, involved in any aspect of the infringement and concerning any means of production or channels of distribution. Complainants may also request the court to order immediate preventive measures to prevent the perpetration of an infringement, to evade its consequences and to keep evidence. Such preventive measures may be requested before, during or after the commencement of the infringement action and can be implemented within a non-extensible term of forty-eight hours from the filing of the initial complaint. To protect defendants and to protect against abuses, a court will require that the complainant provide a surety in an appropriate amount dictated by the circumstances and allegations. The holder of a right may ask for the suspension of the import, export or transit of goods from trademarks presumably counterfeited or confusingly similar. It must submit enough evidence to satisfactorily prove that a presumption of infringement exists and it must provides enough descriptive information about the merchandise so that these may be easily recognized. The court may require the holder of the right to start proceedings for the suspension as well as to provide reasonable caution enough to protect the defendant and to prevent abuses. The amount of the caution shall not be so much as to discourage the opportunity of using the available proceedings and may take the form of an instrument issued by a provider of financial services to hold the importer or the owner of imported goods harmless from any loss or harm resulting from any suspension of shipping goods in the event the court determines that the goods do not constitute infringement. Border and customs authorities may execute preventive measures at the time of import, export or transit of the infringing products, instruments or materials even without requiring a formal request from the holder of the right or another individual. Any products bearing trademarks or illicit distinctive signs, advertising material referring to those trademarks or to those signs and the instruments or materials that have been used to commit infringement, shall be retained or confiscated by the customs authorities or the police who will hold such materials pending the outcome of the judicial process. Customs authority and the police will be held harmless of all responsibility in the exercise of the power set forth under the new law unless they are found to have acted in bad faith. Once the suspension is executed, the customs authorities will immediately notify the merchandise importer or exporter about the measure. For all merchandise found to be counterfeit, the court will order its destruction unless the holder of the right agrees to any other form of disposal. Counterfeit merchandise may be donated to charity for use beyond commerce channels, if removing the mark eliminates the infringement characteristics. Removing the infringement mark alone will not be enough to allow the goods to enter the commerce channels. In no event will the export of counterfeit goods seized by customs authorities be permitted. Regarding cybernetic piracy of trademarks, the national entity managing country code top level domain, will have proceedings for resolution of conflicts based on the principles set forth in the Uniform Domain Name Dispute Resolution Policy. This entity must provide public on-line access to a reliable and accurate database including contact information for the registrars of domain names provided it has complied with the legal provisions associated with the protection of the registrar’s privacy. El Salvador’s enactment of these new trademark reforms not only earned it the distinction as among the first Central American countries to more fully embrace the future, benefits and promises of its expanded relationship with the United States but it also reaffirmed El Salvador’s commitment to take a leading role as Central America’s hub for intellectual property protection.